Hello to Healing Tomato readers. I’m Julie from Inspiring Kitchen. 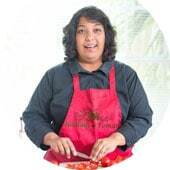 Rini asked if I would like to share one of my recipes with you and I gladly accepted her kind offer. I like to create recipes that are healthy and vegetarian focused. In many cases, you can make my recipes vegan or even add fish or meat if you are interested. The recipe below is vegetarian but can easily be made vegan. 1) Saute onions in olive oil till translucent, add black beans, salt and pepper. Stir till everything is mixed well. 2) Add cumin. Mix and let it warm through. 3) Take about half the mixture and mash with a fork to just smooth out some of the beans. 4) Add to remaining whole beans and mix together. Set aside. 5) Warm olive oil in sauté pan adding corn, red peppers and red onions. Cook just till corn softens about 3 -4 minutes. 6) Remove from heat and put into bowl. 7) Add lime juice, jalapeno, salt and fresh cilantro. Mix gently. 8) Warm corn tortillas in pan from corn mixture. Flavors will infuse into tortillas. 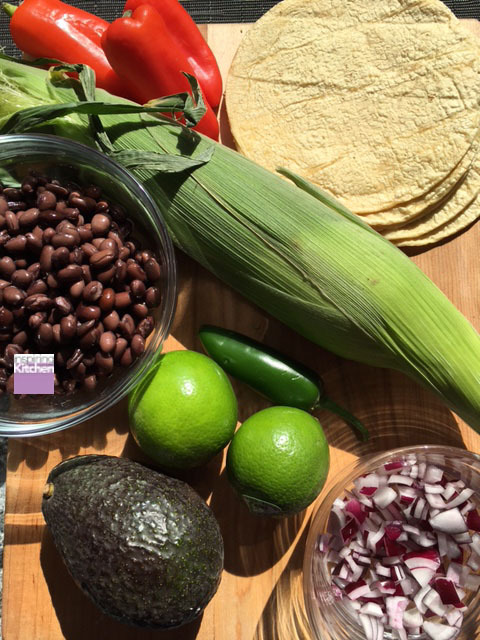 9) Fill tortillas first with black beans, than add corn mixture. 10) Top with cheese (optional) and avocado. 11) Feel free to be creative and add tomatoes or salsa if desired. 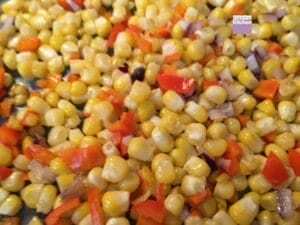 If you like this recipe, try my crepe tacos, veggie bites recipe or roasted corn salsa recipe. Saute onions in olive oil till translucent, add black beans, salt and pepper. Stir till everything is mixed well. Add cumin. Mix and let it warm through. Take about half the mixture and mash with a fork to just smooth out some of the beans. 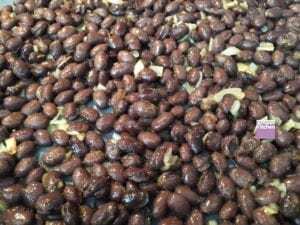 Add to remaining whole beans and mix together. Set aside. Warm olive oil in sauté pan adding corn, red peppers and red onions. Cook just till corn softens about 3 -4 minutes. Remove from heat and put into bowl. Add lime juice, jalapeno, salt and fresh cilantro. Mix gently. Fill tortillas first with black beans, than add corn mixture. Top with cheese (optional) and avocado. Feel free to be creative and add tomatoes or salsa if desired. This sounds just like my kind of tacos! Fresh filling and delicious, these look great on a “meatless” kind of day! Thank you, Michelle. Julie is very talented and she knows how to appeal to a vegetarian. I’ve just introduced my kids to the Trader Joe’s frozen mini tacos – I think I’ll bump it up and try these for them! Great family option. 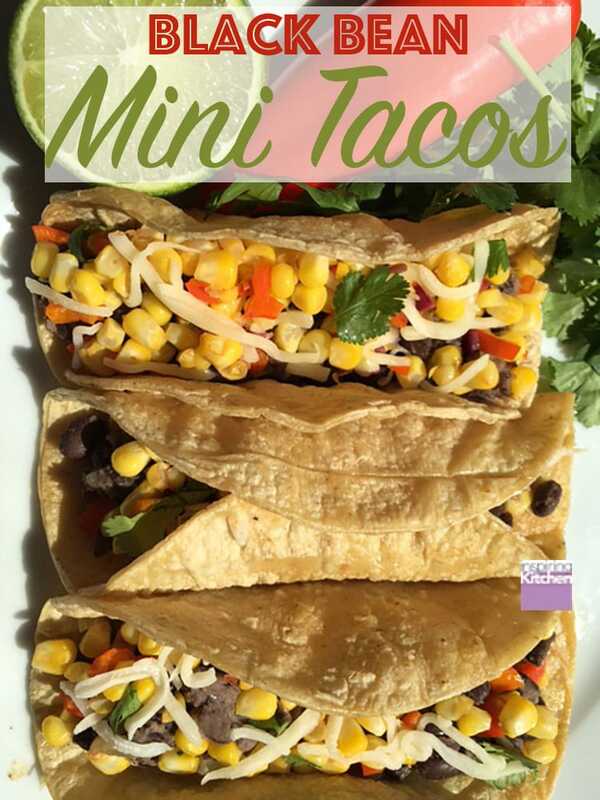 What a great idea to make mini sized tacos, these are so cute and sound delicious, my kids would love them! 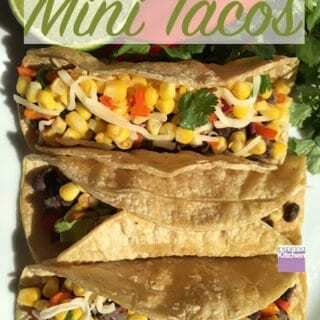 I love the idea of mini tacos, so cute! The flavors in these sound fabulous. How quick and yumm they look. I love them for snacks. I love tacos, I can eat them everyday and be happy! MINI TACOS!?!?! Can I have 50? These looks so tasty and delicious! Awesome IDEA! These mini tacos sound delicious. I love the black bean/corn combo with the cumin and that lovely lime juice. Delish! These tacos look perfect! All the ingredients I’d want, simple, and delicious. Thank you, Anjali. I tried to go with as many easy ingredients as I could. If they’re mini, that means I can have more, right? They look delicious! These sound delicious! And I love that they are mini – my kids would love that! Thank you, Jenn. This is definitely a kid favorite. Tacos and black beans are always the perfect combination in my opinion! Sounds great! I love how simple these are to make. They are a perfect summer meal! I love Mexican food–and tacos are so easy! Thanks!